In partnership with Denver Human Services (DHS),The City of Denver and United Health, the farm stands provide easy access to healthy, fresh vegetables and other local products for some of Denver's most vulnerable populations. We accept SNAP(EBT/food benefits) at all locations and each transaction receives a 50% discount each time you use or show your card. NEW this year, anyone on a fixed income, medicare or disability pay will also receive the 50% discount at all locations. Just show your ID card and we will extend the discount. Wednesday: Wellington Webb Building off Colfax Ave. at 10 a.m.
Friday: Denver Human Services, Castro Location at 9 a.m. and Montbello at 1:30 p.m. While bringing fresh food to various Denver neighborhoods in the summer, we also want to encourage the residents to make the farm stand something that belongs to the community. 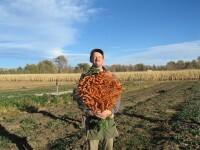 We have partnered with organizations to connect the farm stand and community and provide volunteer or employment options: E.L.K, City of Denver, Kaiser Permanente, United Health Care and Veterans to Farmers and Mo' Betta Greens and several hunger relief organizations. 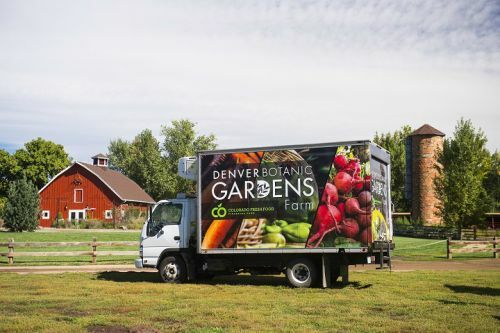 Both the Chatfield Farms CSA and Denver Botanic Gardens’ Community Garden have a commitment to donating unused produce to local organizations such as The Gathering Place, Cooking Matters and Meals on Wheels. 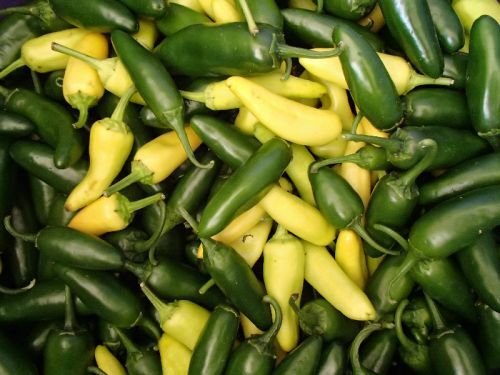 While we continue to donate to our community, attaching some value to the food we distribute enhances the connection that the community has with its food, local farms and growers. In 2014, CSA outreach programs partnered with Denver Human Services (DHS) to service Sun Valley. The initiative was enhanced thanks to funding from the Colorado Fresh Food Fund for a refrigerated box truck. Chatfield Farms and Urban Food Initiatives (UFI) programs grew 50 tons of produce that first year and fed 270 families while donating several hundred pounds of produce to local organizations that address hunger and fresh food access. The Gardens’ farm stands served over 3,000 people. Our goal is to continue to broaden our reach each year, engaging the surrounding community so teens and neighbors can work at the farm stands and increase our offerings.